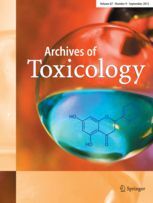 In 2012, a controversial study on the long-term toxicity of a Roundup herbicide and the glyphosate-tolerant genetically modified (GM) maize NK603 was published. Thereafter, the European Commission (EC) asked the European Food Safety Authority (EFSA) to provide supplementary guidance on key elements to be considered for a 2-year carcinogenicity trial in rats with whole food/feed if requested in the course of a GMO risk assessment. In this context, the EC-funded G-TwYST research consortium performed two 90-day feeding trials, one with GM maize inclusion rates of 11 and 33% and one with inclusion rates of up to 50%, as well as a combined chronic toxicity/carcinogenicity study with inclusion rates of 11 and 33% by taking into account OECD Guidelines for the testing of chemicals and EFSA recommendations on the safety testing of whole-food/feed in laboratory animals. In all three trials, the NK603 maize, untreated and treated once with Roundup during its cultivation, and the conventional counterpart were tested. The G-TwYST consortium evaluated all significant differences identified between the test groups and the control group, considering equivalences, whether the effects were dose-related and/or accompanied by changes in related parameters including histopathological findings. It is concluded that no adverse effects related to the feeding of the NK603 maize cultivated with or without Roundup for up to two years were observed. Based on the outcome of the subchronic and combined chronic toxicity/carcinogenicity studies, recommendations on the scientific justification and added value of long-term feeding trials in the GM plant risk assessment process are presented. The open source paper is available online at https://doi.org/10.1007/s00204-019-02400-1. richtingen kan worden opgepakt. " Dat schrijven Dirk Stemerding en Huib de Vriend in de februari 2018 editie van Tijdschrift Milieu, een special over het thema "Schoon, gezond en veilig". Download hier het artikel uit Tijdschrift Milieu. Een iets langere versie van het artikel met bronvermelding kunt u hier downloaden. Het Rathenau Instituut heeft LIS Consult ingeschakeld voor een verkenning naar de haalbaarheid van een dialoog over het ammoniakbeleid in Nederland. Op basis van gesprekken met betrokkenen en experts worden alle kwesties in kaart gebracht, evenals de ruimte die er is om een zinvolle dialoog aan te gaan. Het ministerie van EZ zal op basis van deze verkenning besluiten om al dan niet een dialoog te organiseren. 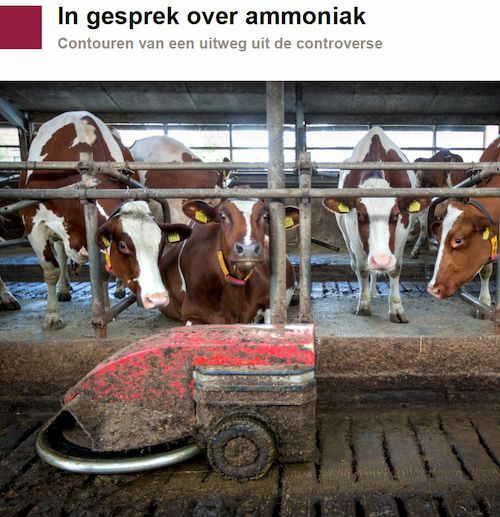 LIS Consult gaat samenwerken met Marianne Heselmans van Impact Reporters en Frans van Dam van ScienceCom Consultancy. Door onze kennis en expertise te bundelen willen we een bijdrage leveren aan de dialoog en betrokkenheid van stakeholders bij innovatie en beleid op het gebied van de levenswetenschappen. Hier leest u meer over onze samenwerking en wat wij u te bieden hebben. In this 4th edition we highlight three SYNENERGENE activities. During the Making_Life project about art and synthetic biology Erich Berger and Andy Gracie interviewed Markus Schmidt and Oron Catts to hear what a scientist and an artist have to say about synthetic biology. In order to come to better insight in different dimensions of synthetic biology in Slovenia the partners from University of Ljubljana did an extensive survey among representatives of different stakeholder groups. Eleonore Pauwels from the WWICS reports a two-day workshop in the US on the question how to create an ecosystem that integrates traditional and non-traditional actors and bolsters innovation. SYNENERGENE is developing and applying principles of Responsible Research and Innovation in synthetic biology and was therefore interested in the joint final event of 4 European projects that took place last January, all working with the concept of RRI. Antonina Khodzhaeva from ECSITE reports.